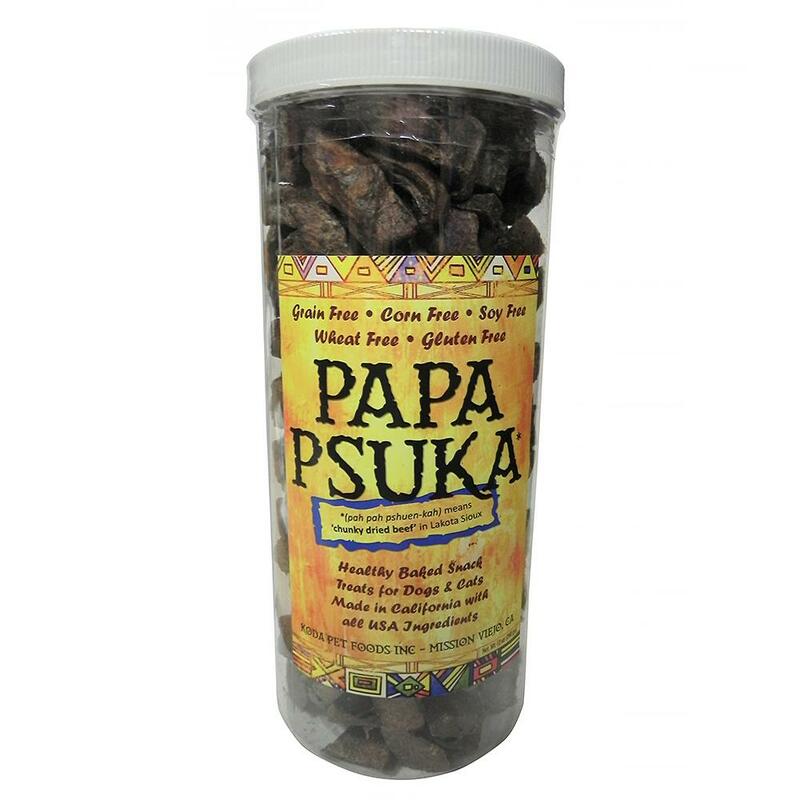 Papa Psuka treats for dogs are a healthy baked snack with all the goodness of ingredients sourced from the USA and none of the by-products and fillers commonly found in supermarket pet treats. 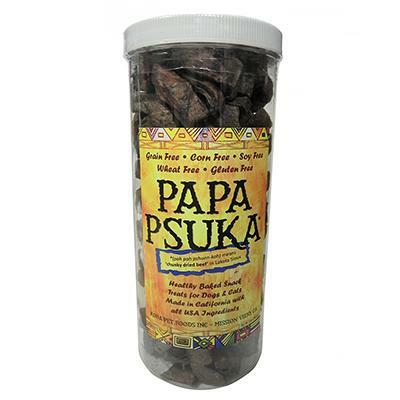 Coming from Mission Viejo, CA, the name Papa Psuka (pah-pah-pshuen-kah) means "chunky dried beef" in Lakota Sioux. Beef and turkey is all you will find in Papa Psuka dog treats, what you will not find is grain, corn, soy, wheat or gluten. Beef lung, beef liver, beef broth, turkey liver.